From legendary character actor Stephen Tobolowsky, comes a collection of memoiristic pieces about life, love, acting, and adventure, told with a beguiling voice and an uncommon talent for storytelling. 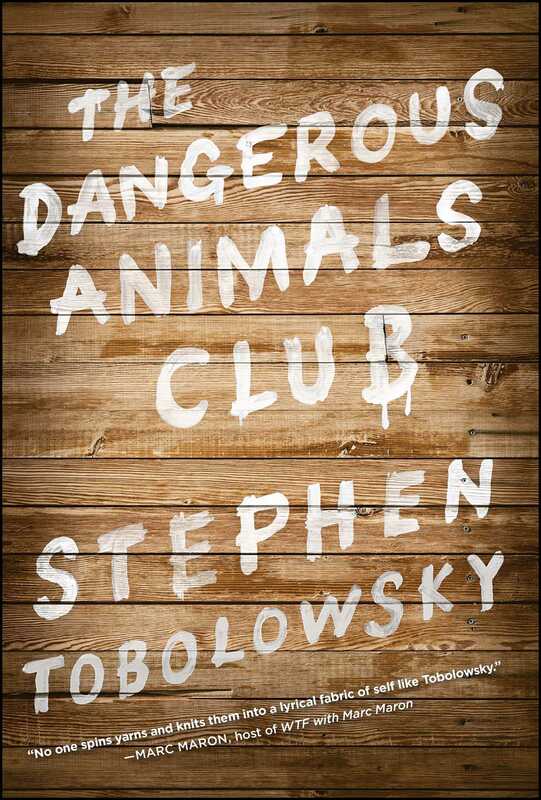 The Dangerous Animals Club by Stephen Tobolowsky is a series of stories that form a non-linear autobiography. Each story stands on its own, and yet there are larger interconnecting narratives that weave together from the book's beginning to end. The stories have heroics and embarrassments, riotous humor and pathos, characters that range from Bubbles the Pigmy Hippo to Stephen's unforgettable mother, and scenes that include coke-fueled parties, Hollywood sets, French trains, and hospital rooms. Told in a vivid, honest, and wondrous voice, Tobolowsky manages to render the majestic out of the seemingly mundane, profundity from the patently absurd, and grace from tragedy. This book marks the debut of a massively talented storyteller. WE DON’T CHOOSE our memories. Our memories choose us. Why certain thoughts rise to levels of importance and others vanish is not entirely obvious to me. When I was ten, Dad took me to the Lions Club midget go-cart races and put me in charge of the concession stand. I was ten! In charge of a concession stand! Talk about having the fox watch the henhouse. It may have demonstrated questionable judgment on his part, but it was great. There I was, unsupervised, in charge of taking in money and dispensing candy bars, popcorn, corn dogs, unlimited cola, and soft-serve ice cream. I went through half a box of soft-serve cones within the first hour. I was my biggest customer. And I was free. The head of the event came over, red-faced, and scolded me. I don’t remember ever having been scolded by an adult other than my father or a teacher. It was a good preparation for television directors, but I didn’t know that at the time. He told me he was going to “count cones on me.” If I was short, I would have to pay him for each ice cream eaten. Dad was embarrassed. I let him down. I was scared. I was ashamed—for about seven minutes. Then I figured out I could get around the prohibition on eating ice cream by just avoiding the cones altogether and dispensing the soft serve directly into my hand. No cone. No trail. No problem. But if you were to ask me at a party what event I remembered most about my dad, it would be the snowy night in Boston. We were crossing the street. A bus waiting for the light inched forward into the crosswalk and Dad whirled around and punched it. He punched the bus. To the bus’s credit, it stopped. Not from the force of the blow but from the shock of the bus driver that some man would give a right hook to his bus’s grill. Now why has that memory chosen me? Out of all the little, and the big, and the wonderful, and the sad moments I could remember—why this one? Bertolt Brecht in his book Development of an Aesthetic wrote about creating the gestus for a character in a play. The gestus was the character-logical gesture. It was the single external act that represented the character’s hidden inner life. Maybe the swing at the bus was my dad’s gestus. Possible meanings of the gesture could be: he always felt he was fighting against something bigger than himself, his willingness to protect his family at any cost, his hatred of mass transit. Who knows? The Talmud, the set of Jewish holy books second in importance to the Bible itself, suggests that you have to use great care in interpreting some dreams, that often the explanation of a dream is more powerful than the dream itself. The interpretation can become true, even if it is wrong. Using that as a caution, I will refrain from trying to divine why the memory of the bus and Dad is so important to me. It is enough to say that it is. I have two strong memories of my mother. The first was on my twenty-seventh birthday. I was still depressed from the death of Bubbles, the pigmy hippopotamus. I was in Los Angeles where I was doing a children’s theater production of California’s Spanish heritage for the public school system. I took off the sombrero for a few days and flew to Dallas for the big celebration. We had a sort of ritual for birthdays. The birthday boy or girl would pick his or her favorite restaurant. Like most families, we went to a narrow range of eateries. Our family was enamored of “all-you-can-eat” restaurants. Texas was big on all-you-can-eat. The idea is similar to the cattle trough. You come in, pay one price, and eat until you rupture your peritoneum. There was The Shed, which was all-you-can-eat steak. Pedro’s was another favorite, which was all-you-can-eat Mexican. And Big Chinese Restaurant, which was all-you-can-eat Chinese. The Shed was rumored to serve what the waiters called retreads. These were steaks that were on other people’s plates but were not eaten. Rather than waste food, they put the slightly used steak on your plate, rewarmed it, and wha-la, retread. That was the risk you ran if you went to The Shed. I never thought the idea of getting retreads was that bad. It was like eating at home. You would just wait until your sister got up from the table to get something to drink and you would take something off of her plate and eat it before she got back. No harm, no foul. Pedro’s was worse. They got busted for serving dog food in the enchiladas. We had to stop going there. With the temporary closure of Pedro’s and the bad rep of The Shed, all of the all-you-can-eat diners headed for Big Chinese Restaurant. They were swamped. What good is a big Chinese buffet if your access to the egg rolls is blocked by several three-hundred-pound people in front of you? It was like playing against the Green Bay Packers without a helmet. I decided to buck tradition. I decided I would not go to an all-you-can-eat for my birthday dinner. I chose Vincent’s Seafood Restaurante. Vincent’s was as swanky a place as I had ever eaten at in Dallas. 1. Any restaurant with linen tablecloths. 2. Any restaurant where the waiters wear jackets. 4. Any restaurant where they charge for refills of iced tea. Vincent’s had them all. But what made Mom almost choke on her saltine was when I ordered an appetizer. I could have been the first Tobolowsky in history to order an appetizer. The appetizer was bread at all-you-can-eat places. They gave it to you for free and kept it coming. At Vincent’s I ordered a half dozen oysters. On the half shell. As far as Mom was concerned, this was not the act of a rational mind. I’m sure she chalked it up to my being an actor or the corruption that comes from living in California. And she was probably right on both counts. They brought the oysters on a bed of rock salt. I offered Mom one. She looked at me as if I had handed her a bucket of snot. She declined. I ate my oysters, dipped in red sauce, in silence. As we waited for our main course, Mom reached over and started grabbing the empty oyster shells off of my plate and stuffing them in her purse. She returned the shells to my plate of salt, grudgingly. Mom was the epitome of wackiness in a good-hearted way. My brother, Paul, told me about the time he had a one-hour layover at the Dallas airport. Mom drove out to see him. In the brief meeting, she brought him out to her car, tied a tablecloth around his neck, gave him a haircut, fed him his favorite dinner (pot roast), and pulled out the family cat for him to pet before he had to rush in and be on his way to Austin. A second memory of Mom. It was twentysome-odd years later. I was lucky. I got a job shooting a movie in Dallas. I decided to bring our youngest son, William, with me so he could hang with his grandparents. William was five. Mom volunteered to do baby duty while I worked. At this stage of his life, William loved turtles. He loved turtles more than about anything, so Mom decided to take him to Turtle Creek where the chances of seeing a turtle were high. Mom led me around the corner. She had converted our breakfast area and part of our living room into a makeshift hatchery. She had pulled a little table from the garage. She found a small basket and filled it with newspaper and strips of soft cloth. She took Dad’s reading lamp and had it tilted into the basket for warmth. I took a peek. Lo and behold, there was an egg. William was watching the egg with fascination. He whispered that its mother had left it. It would die unless we gave it a home. Mom said that it seemed like the only right thing to do. William instructed us that we had to turn the egg to help it hatch. Mom explained she had been turning the egg every hour. William nodded with authority. That was right. You had to turn the egg. We all took turns turning the egg that evening. I was shooting the film for about a week more. Seven days. Seven days spent in egg turning, egg checking, egg speculating. Mom would get up throughout the night to turn the egg. I would lie awake at night certain that one morning we would wake up and find some kind of mallard on the breakfast table. William talked about the egg constantly. He said we had to make certain that when the baby was born we didn’t touch it because that would put “human smell” on it and no other birds would come near him. I asked him, why in God’s name did they take the egg in the first place? Taking the egg from the creek put “human smell” on it. And now we were stuck. If it hatched we would have a human-smelling bird that would be lonely all of its life or Mom and Dad would be stuck taking care of a wild bird in the backyard. Dad piped in quietly, “Or eating it.” That didn’t help. William was upset. Mom felt guilty. I took Mom aside and told her that there was one solution. We had to get the egg back to the creek before it hatched so its mother could find it and take proper care of it (wink, wink, nudge, nudge). Mom and William came with me to the creek to pinpoint the area where they discovered the egg. It was a busy day. There were lots of picnickers, lots of hand-holders, lots of bike riders. Very few birds. Mom and William became unsure of the exact area where they snatched the egg. William was now upset that if we just put it on the ground, the mother would never find it. It was tantamount to bird murder. We drove home with the egg. It went back into the nest and for our final days in Dallas the routine continued. William felt sure that the egg moved. I don’t think it did. The day arrived when we had to go back to Los Angeles. William wanted the egg to go back with us. Mom hinted that it was probably the best thing to do. I called my wife, Ann, at home and told her we were bringing back a charge. She wanted to know if it was alive. “Sort of,” I said. When we got back to Los Angeles, Ann took over from Mom and built a makeshift incubator using my older son Robert’s reading lamp aimed at a small basket filled with shredded cloth and newspaper. William explained about turning the egg and “human smell.” Ann sighed and went to look up the gestation period of various ducks and geese to get an idea how long this period of our lives could last. Time dragged on. After five weeks we were both sure that the egg was a goner, but we were unsure as to what to do. We decided to throw the egg away. If there was a crisis, we would tell William that we took the egg to the Los Angeles River where we saw a family of ducks, and we put the egg by the water and when we left the ducks were waddling toward the egg. In other words, we would lie. But on the way to the trash bin, the egg was dislodged and it fell onto the concrete driveway. It cracked. And to our amazement—we discovered—it was a hard-boiled egg from someone’s lunch. For six weeks we had guarded, warmed, turned, protected, took field trips with, flew cross-country with, spent sleepless nights fretting over someone’s lunch. I called Mom with the news. She took it in stride. The time she spent protecting the dream of her grandchild was time well spent. I have no idea why the thousands of days and troves of far more significant moments graciously recede before this memory of my mother, William, and the egg. If I were a reader of dreams living in Talmudic times, I could venture a guess. I would say that both of these memories of Mom show the common thread of a woman who had a close relationship to the miraculous: someone unafraid of making buttons out of oysters and wild birds from picnic baskets. For my brother, Paul, she could turn the front seat of an Oldsmobile into a family home complete with a cat and a pot roast. She was an alchemist who maybe, on occasion, could spin common cloth into gold. I AM ALWAYS amazed and confused when the government appoints a committee to get to the bottom of something. In the political world there is comfort in putting what we call “certainty” in the hands of someone else. It’s understandable. Sometimes everything you know is wrong. My son William attended a co-op preschool. It was outdoors in a fenced-off area of a city park and all of the parents took turns being teacher’s assistants. In translation, that meant washing hands, taking to the potty, and keeping the little ones from hitting each other with folding chairs. There was one five-year-old boy who had a regular routine. He would arrive at school. He would run into the toy shed and emerge five minutes later in a dress, feathered hat, and pearls. He would sling a purse over his shoulder and start pushing a baby carriage around. The teacher never said a thing about it. None of the kids said anything about it. They just kept running around throwing dirt at one another. None of us “teacher’s assistants” said anything, either. We would just look at each other. And through that eye contact—in a millisecond—entire volumes were exchanged. And in that exchange came the precious commodity called certainty. We were certain we knew all about this little boy—his past, his present, and his probable future walking the runway during Fashion Week in New York. I took a breath. If you put me in a room for a hundred years with a typewriter and a million monkeys I would not have come up with that story. And I’m not sure how much of a miracle it was. Whatever your read on it, be it a scenario for a Hallmark movie, or The Twilight Zone, or just another large file in a social worker’s office—the important words here are I’m not sure. Certainty was gone. Everything I thought I knew was wrong. We are bombarded constantly by supposed facts seducing us with that thing we like to call certainty. Don’t get me wrong. I like certainty. But I’m starting to think it’s not the bedrock we need to build our lives on. It’s more like Fritos: a comfort food best taken in small doses while drinking a beer and watching the game. The area that specializes in certainty is science. It’s funny how much trust we put in science when its track record throughout history has been so bad. The problem is that science not only tries to describe the observable, like the tides and the height of mountains, but also the unobservable. I read in a science magazine that human beings send out an invisible DNA message through our eyes containing thirty-three different sexual signals. This happens within a fraction of a second upon meeting potential mates. The message includes body characteristics, sexual preferences, and ranges of desire. It’s believable. This would explain why I almost never had a date in high school. It meant that it was impossible to hide from women that I possessed the “love handle” gene. The article tried to explain the science behind “love at first sight,” that it was not an emotional thing at all but a rather amazing form of genetic communication that established sexual compatibility. The essence of the article seemed to offer a bargain. Trade one invisible thing for another invisible thing, with certainty. Trade in love, and we’ll give you genetics. I have come to believe that in our lives we have to accept some form of the invisible—with certainty. Some are easy, like gravity. Cavemen accepted that if they dug a hole deep enough a mammoth would fall into it. And dinner is served. Other things are not so easy. Since the whole truth is not always available to us, we have come to use an alternate system of perception: intuition. Intuition told me there was something wrong with the way my front door looked when I came back from a New Year’s party. I opened it to find my house ransacked. It told me to take a kitty from a rescue-cat woman because of the look in its eye. And I was right. It proved to be an excellent kitty. When I got to Dallas, Mom was in the ICU. She was asleep. I had brought my book and a portable radio, figuring it could be a long day. As I sat there with Dad, I remembered my last trip to Dallas. Mom had been developing Alzheimer’s disease over the past few years. I don’t know enough about it to know what stage she had reached. She hadn’t been able to read for a long time because she couldn’t follow a story or remember the characters. In the evenings her memory traveled in a sixty-second loop. She would ask me if I wanted some grapes or some hot tea. And if the temperature in the house was too hot or too cold for me. And then she would ask me again. And again. And again. And I would get impatient and ask her politely, but not lovingly, to sit down. And as awful as that trip was a few months ago, sitting now, in this hospital room, I would have given anything to be back in our living room with her asking me about grapes and tea. She didn’t wake up that day. I read and listened to the radio and talked to Dad. My brother, Paul, came. We sat grimly. Paul is a doctor. He would look at the monitor providing readouts of her vitals: her heart, her blood pressure, her blood chemistry. He pointed out numbers. Science had reared its head. I was fixated on the screen now, too, looking for a positive change. We went back to the house for a break before the evening watch. And even though there were three grown men walking around the living room, there was a palpable emptiness. Something invisible. We went back to the hospital about nine in the evening. We were going to check in on Mom and then go out to eat. Paul and I were discussing Mexican versus Italian versus Cheap Italian, when a buzzer went off and nurses started running. They ran into Mom’s room. We all understood something terrible was happening. She had another heart attack. They kept us out of the room while they performed emergency procedures. I was certain at that point in time that we were not going to have dinner at all. After about an hour her doctor came and talked to us. He said she had stabilized and her heart was beating normally again. He would monitor her through the night. We should go home and get some rest. We would “keep our fingers crossed” that she would be better in the morning. The “fingers crossed” bit was a disturbing lack of certainty from a man of science. The next morning we arrived at the hospital at about seven. As we got off the elevator, one of the nurses looked at me. In her look a thousand pieces of information were transferred through our eyes: “It was a bad night and it’s going to be a bad day.” In that instant I knew that this was the day my mother would die. We rounded the corner and there was her doctor. He looked at us with what I call a “golfer’s smile.” Even when a golfer makes a putt, his smile is usually turned down in the corners like a partial frown. He knows there’s a water hazard on the next hole. The doctor told us it was a bad night. We should go in and say our good-byes. She may only have a few minutes. We walked in. She looked so small in the bed. Unconscious. The monitors showing a weakened heart along with a lot of other numbers that meant nothing to me but made my brother raise his eyebrows and look at me with terrifying certainty. My sister was flying in from South Carolina where she worked at the university. Our hopes had been reduced. We just wanted Mom to live long enough for Barbie to get here. And in my heart, now, I would have given anything to sit in a hospital room yesterday reading Charles Dickens with Mom sleeping, thinking about eating Italian food and wishing I were back in our living room smiling and saying with kindness that the room was comfortable and the tea was good. My cell phone rang. It was my sister. She was at the Dallas airport and on her way to the hospital. I told Paul, “Barbie’s here. She got an earlier flight. She’ll be at the hospital within the hour.” And here is when I had my miracle. Mom’s heart started beating again. Like it did yesterday. The doctor came rushing into the room. His face showed surprise. He wanted to make sure his equipment was working right. It was true. My mother had stepped from the brink. After Barbie got there, we stood around Mom and held her and each other. And then, unexpectedly, we started laughing—laughing and telling Mom stories. Mom and the cat. Mom and the roast beef. Mom and the basketball player—endless and hilarious. And while we were together, all together, laughing—Mom’s heart stopped. Not all at once but over a couple of minutes. The laughter stopped. The monitors showed a flat line with an occasional, inconsequential blip. The doctors and nurses rushed in again. I am not certain that my miraculous moment was a miracle at all, and that Mom stayed alive until we could all be together and left when she heard us laugh and knew we would be all right. And whether this could be a scenario for a Hallmark movie or a Twilight Zone or just another in a series of coincidences that make up a life, I am certain of something invisible in that room. Something powerful. Something faster than the speed of light that for a moment was in our midst and in our hearts. Photograph courtesy of the author. Stephen Tobolowsky has appeared in more than 100 movies and 200 television shows, including unforgettable roles in Mississippi Burning, Groundhog Day, and Memento. He is the author of The Dangerous Animals Club and My Adventures with God. He lives in Los Angeles with his wife and sons. “Profound delight…At its core, "The Dangerous Animals Club" is about an artist's passionate, heartbreaking and sometimes hilarious commitment to his calling… What Tobolowsky brings to all his stories is a pitch-perfect ability to tell a story…That's the goal for all artists: To create work that deeply touches and moves other human beings. 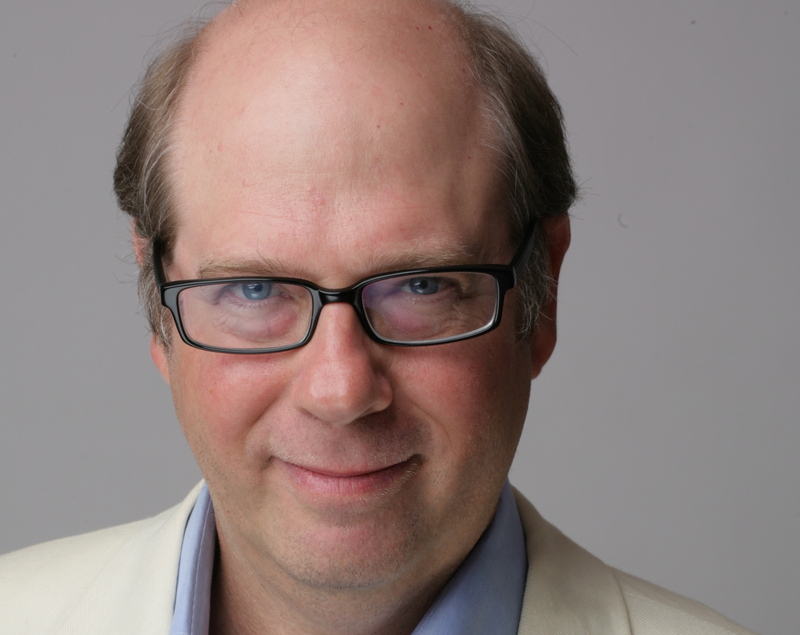 Stephen Tobolowsky hits the mark in "The Dangerous Animals Club." "The Dangerous Animal Club runs the gamut between the youthful, dreamlike compulsions of a brainy little boy, to the recollections and misadventures of a struggling actor in Los Angeles in the past 30 years, and in between you have story-telling at its finest: well-written, poignant, hysterical, heart-wrenching and above all — wise."